The aim of the proposed project is the development of a new ultrasonic equipment (US), allowing early detection of breast cancer and reduce the need to use the ionizing radiation during examinations. The aim is to eliminate the disadvantages of current ultrasonic systems in the diagnosis of breast cancer, which hinders its use. 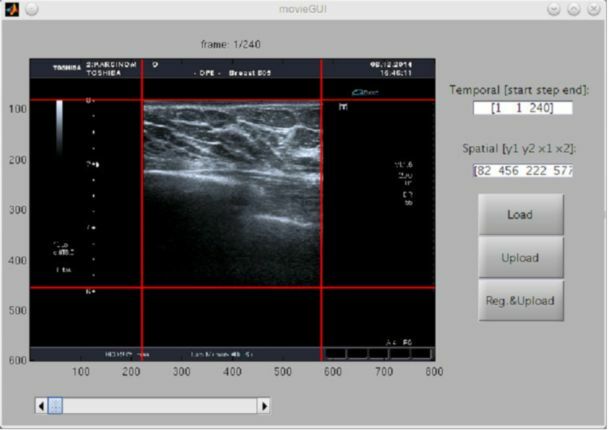 The target parameters include prospecting and automated description using parameters (size, texture), description of the situation, which is able to testify about the disease, combining individual images (registration) leading to the creation of 3D display - thus ensuring reproducibility UZ shaping and security testing the entire organ. At the same time the newly developed ultrasonic probe allows better capture the characteristics of bearings including microcalcifications. Software solution offers engineering, which adopts multiple images of the same object and is able to generate one final image with higher quality than any image on the input. It is able to increase both the resolution (superresolution) and sharpness (deconvolution) and then analyze them. 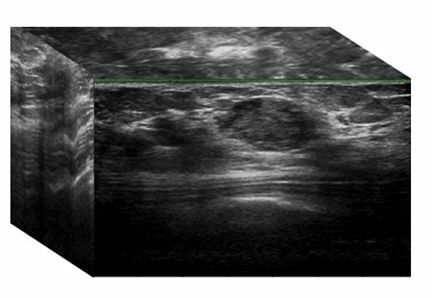 The part of the development will be the determination of characteristics of each type of lesion and differential diagnosis of tumor and non-tumor bearing patients on file with the specified type bearings and subsequent verification of system functionality by prospective clinical study.Further goal is to develop a certified method of ultrasound breast evaluation to be used in clinical practice. 2. testbed database - the archive for collected images/videos. Data are fully anonymized. 3. 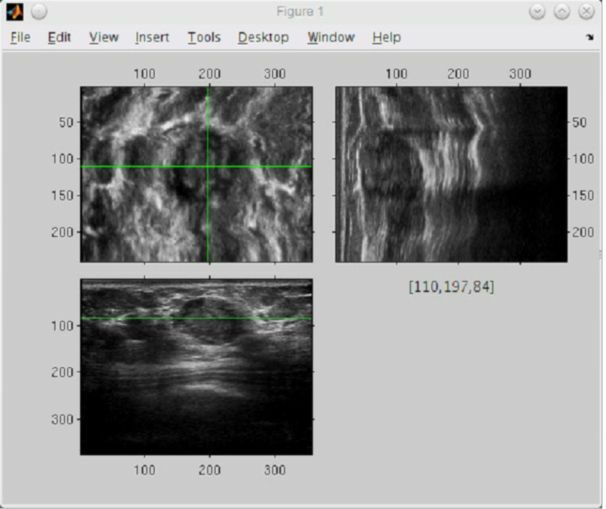 SW for data handling - the software modul for 3D data re-creation from ultrasound probe data and for their visualization. The README.pdf is included in the ZIP file. The test data are included.